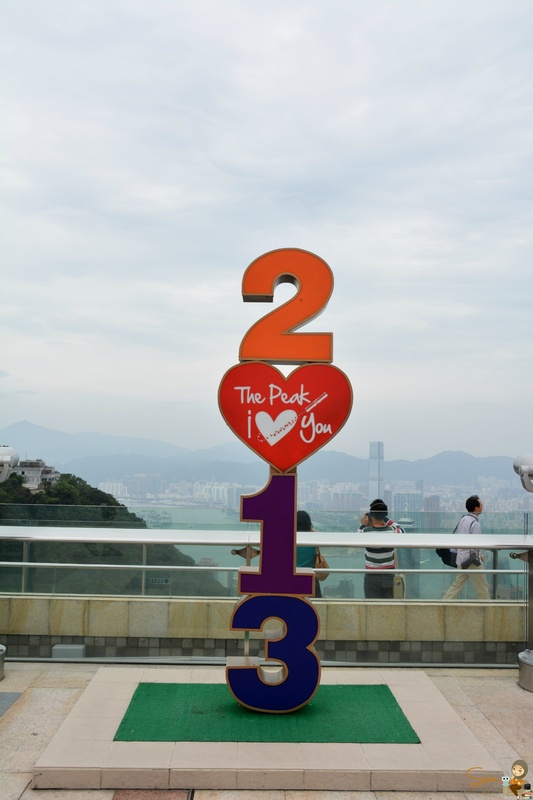 One of the most amazing places that you have to visit when you’re in Hong King is The Peak. 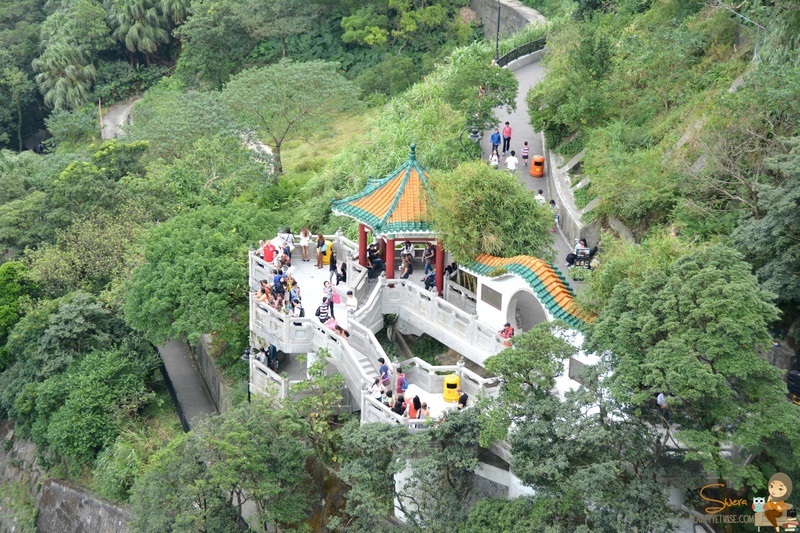 It’s one of the top attractions in the city and the highest point in Hong Kong. 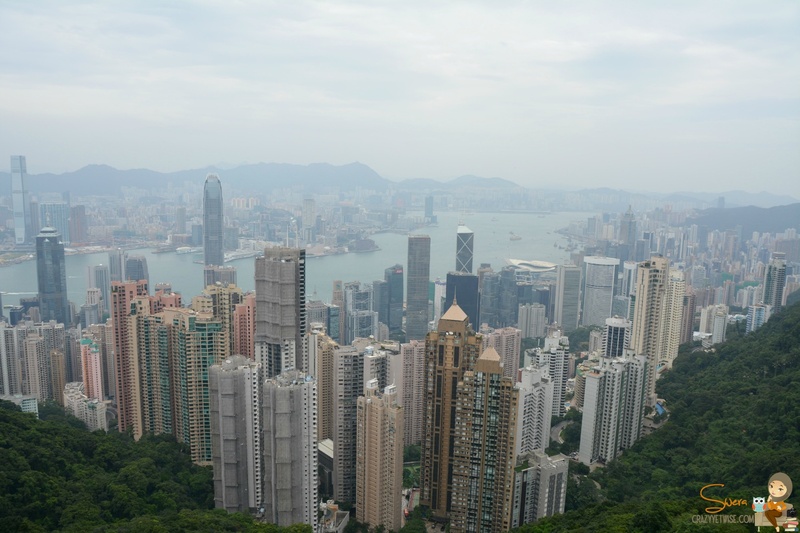 When you go up to the Sky Access, you’ll see both sides of Hong Kong facing the famous harbor. 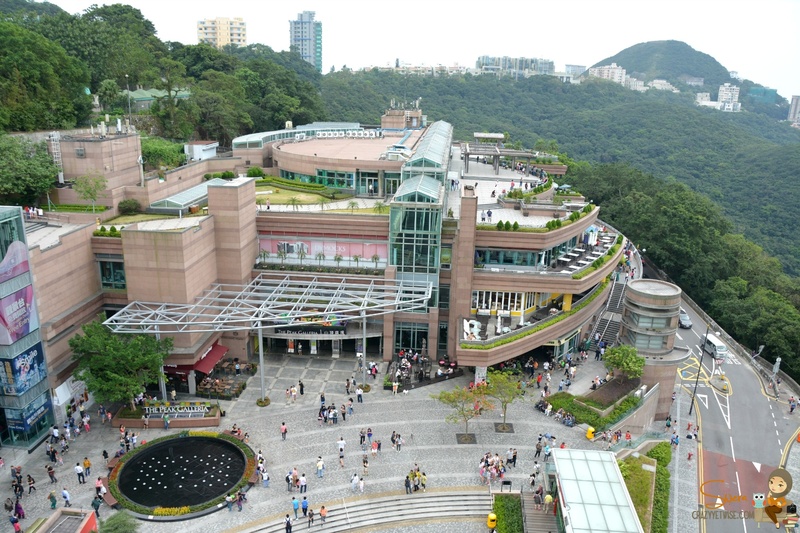 We went to The Landmark place to get tickets, the queue was really long but it was moving fast, I wondered how it would look like in summer *cries*. 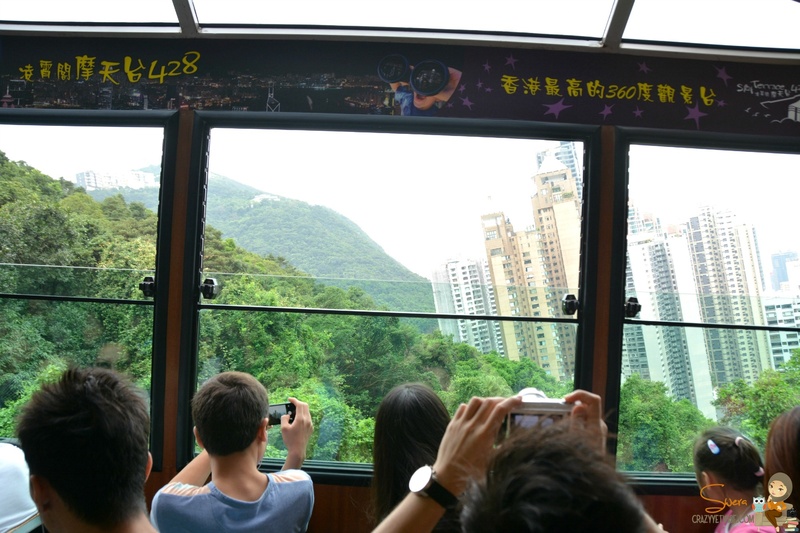 We go our tickets round trip with sky access for 150 Hong Kong Dollars for 2 persons, that’s around 7 KD which was really good. 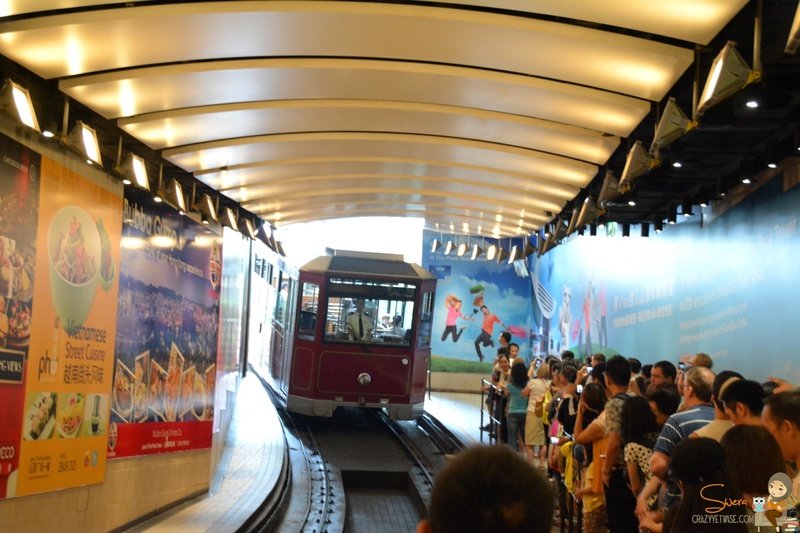 The tram comes up and down every 10 minutes, you’ll see alot of people waiting for it and think there won’t be an available seat for you, but that’s only your imagination because, there’s a seat for everyone even when it’s crowded. The trip up to the peak was kinda scary because the road gets nasty at the end. We climbed many stairs just to get to the sky access and the view was more than wonderful, amazing, fabulous, superb, wow, what else can I say? Loved the whole feeling. 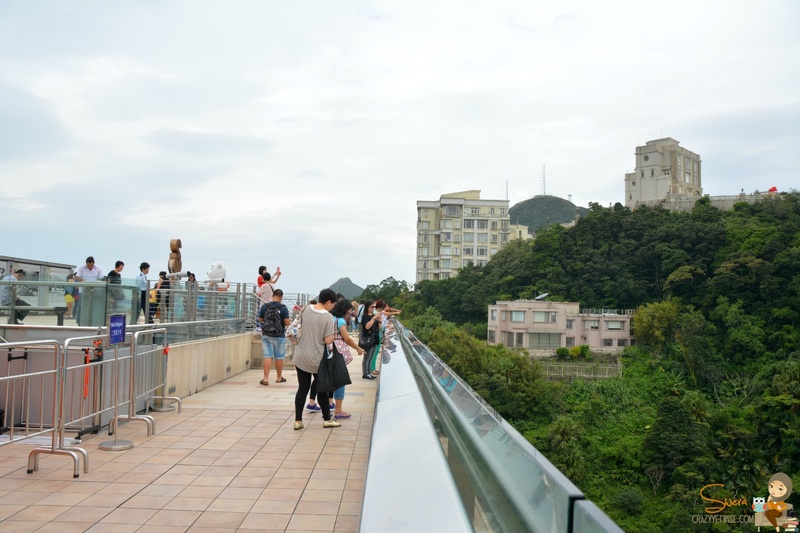 We saw lots of buildings in Hong Kong and the weather was so cool, the breeze was more than refreshing. I didn’t expect Hong Kong’s weather to be like that, loved it. 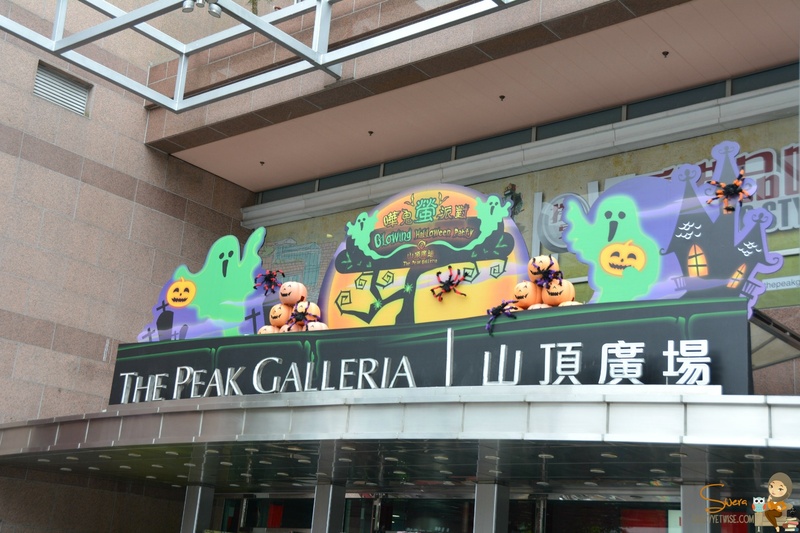 After finishing from the sky access, we went to the Peak Galleria which was a decent shopping mall, bought few things for Baby Jana from there and enjoyed walking in the Garden Terrace. 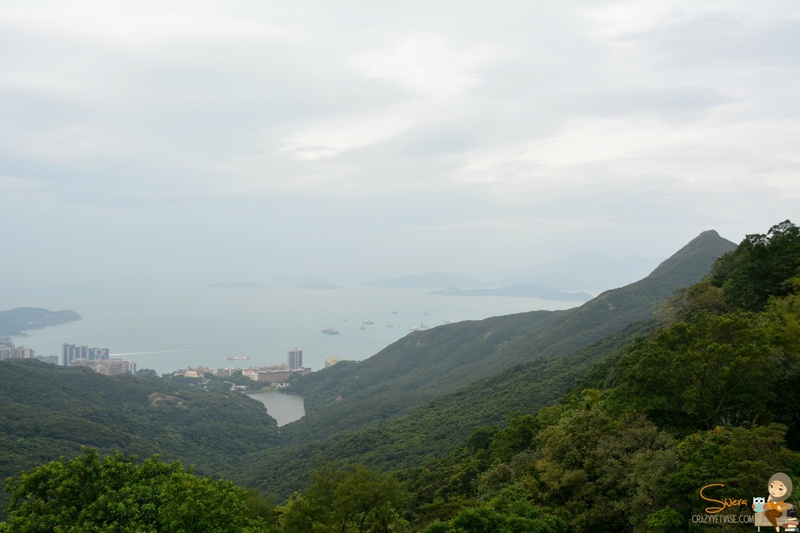 We had coffee and desserts in a beautiful cafe which I will write about it soon, and had late lunch in Bubba Gump on the top of the peak, the view was more than amazing. Had lots of fun over there. 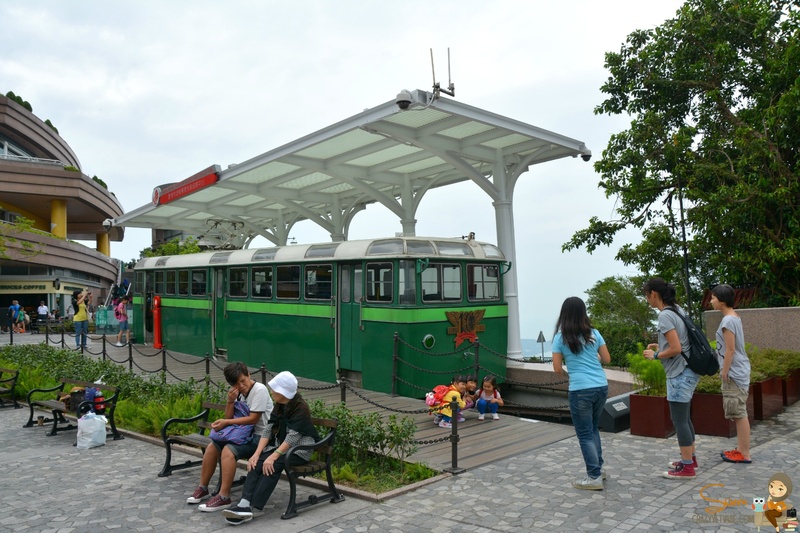 It’s a must visit place in Hong Kong. Looks beautiful mashalla, I don’t know if I would get afraid of heights it just depends on how high it would be.